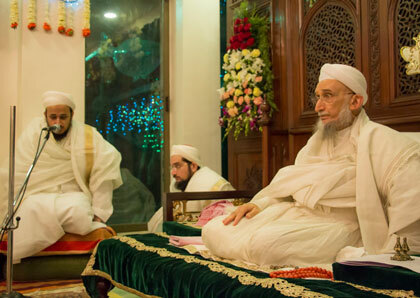 Dai-z-Zaman Syedna Khuzaima Qutbuddin TUS presided over Milad Majlis on the eve of 29 Rabi ul Akhar, 1435H, in Darus Sakina, Thane. Mumineen mukhliseen and muminaat mukhlesaat had gathered there to araz tahani in Hazrat Imamiyyah. 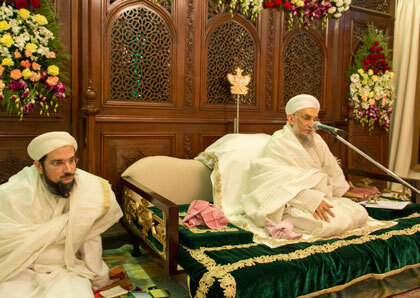 The Majlis began with a recitation of Syedna Taher Saifuddin RA Qasida mubaraka in madeh and iltija (supplication) to Imam uz zamaan, ‘Sahibal Asri waliyyal fathi wa n-nasri ‘nsuri’. 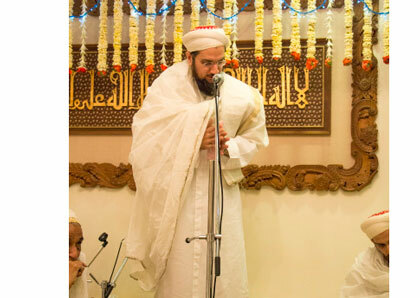 This was followed by a recitation of Syedna Mohammad Burhanuddin RA Qasida mubaraka in madeh of Imam uz zamaan, “Ya aala Taha r-rida anwaarukum laami’ah.” The qasidas were recited with great spirit by shehzadas and all mumineen present there. 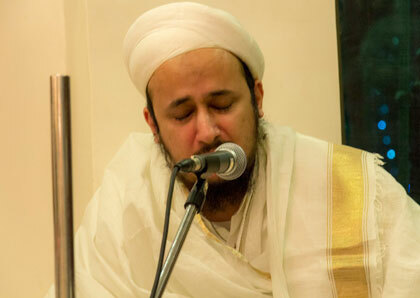 Hafizul Qur’an, Shehzada Dr Husain bhaisaheb delivered a spell binding recitation of the first five verses of Surat ul Fath in beautiful Misri lehen. 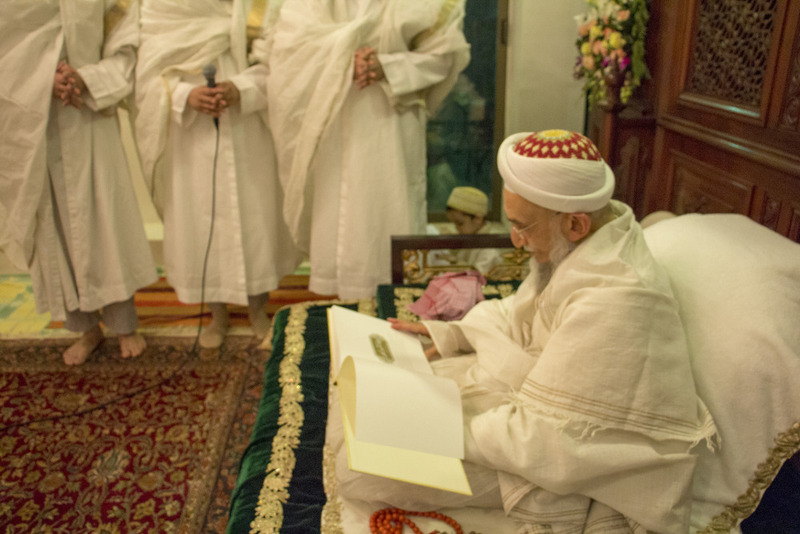 Shehzada Dr Abdeali bhaisaheb did shukur araz in Hazrat Imamiyyah, in which he did pur asar zikar of Syedna Qutbuddin’s shaanaat, and did heartfelt doa. 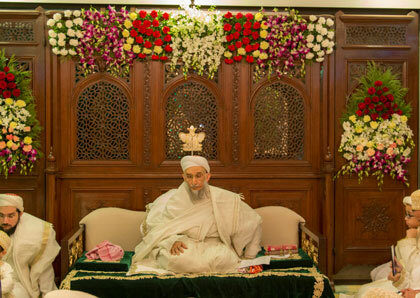 He recalled that Syedna Qutbuddin had prayed to Allah Ta’ala on the occasion of Syedna Burhanuddin’s 75th Milad, that He grant mumineen the ni’mat of celebrating Syedna Burhanuddin’s 100th Milad. 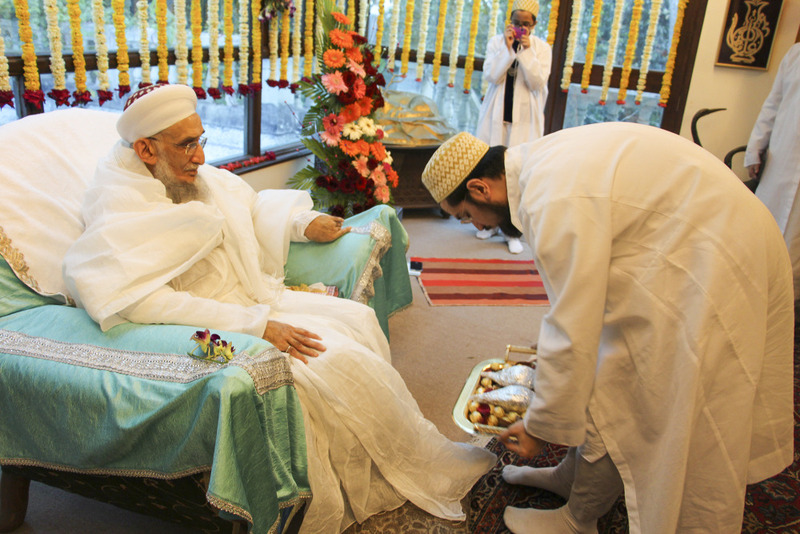 Remembering this, Dr Abdeali Bhaisaheb prayed to Allah Ta’ala on the occasion of Syedna Qutbuddin’s 77th Milad that He grant mumineen the ni’mat of celebrating Syedna Qutbuddin’s 100th Milad! Ameen ya rabb al aalameen. 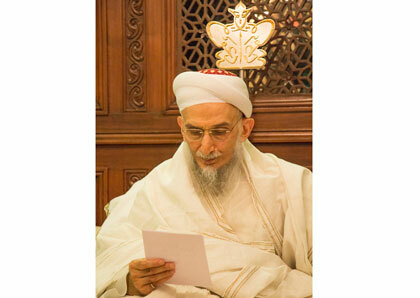 Syedna Qutbuddin then did a short bayaan with dua kalemaat. 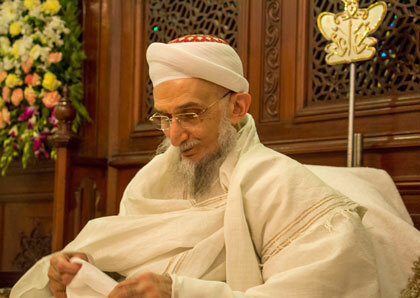 In his bayaan, he said that he had been granted the ni’mat of being in Syedna Taher Saifuddin’s khidmat when Mawlana l-Muqaddas composed many of his qasidas. 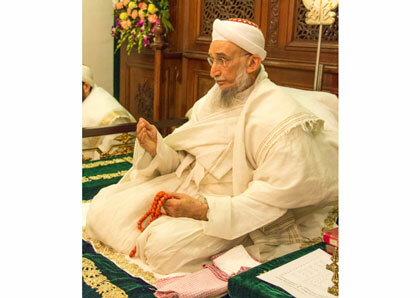 In 1382H Syedna Taher Saifuddin composed the qasida “Banu l-Mustafa l-ghurru l-kiraamu mawaaleena” in Karachi, in which he did zikar of his Mazoon and Mansoos Syedna Burhanuddin. Syedna Qutbuddin was in khidmat then and did araz to Syedna Taher Saifuddin to compose a bayt of tul ul umr doa for his Mazoon and Mansoos. 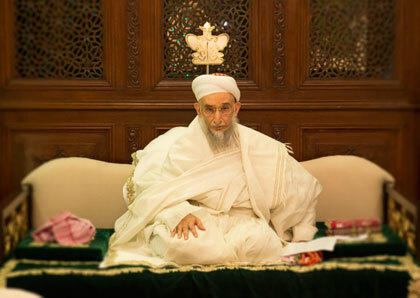 At Syedna Qutbuddin’s behest, Syedna Taher Saifuddin composed the well known verse “wa-tawwil ilaahi umra Burhan e deeneka l lazi haaza min ghurri sh shu’uni afaneena.” Also at Syedna Qutbuddin’s behest, Syedna Taher Saifuddin gave raza to include this bayt alongside the doa for the Daizzaman Syedna Taher Saifuddin, in the “Waza’ifuna” abyaat always recited in Dawat majalis. 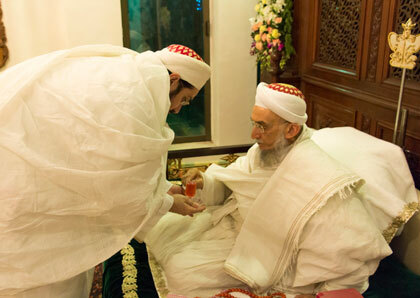 Syedna Qutbuddin bestowed much doa for mumineen and concluded the bayaan with the narration of the Shahaadat of Imam Husain SA. 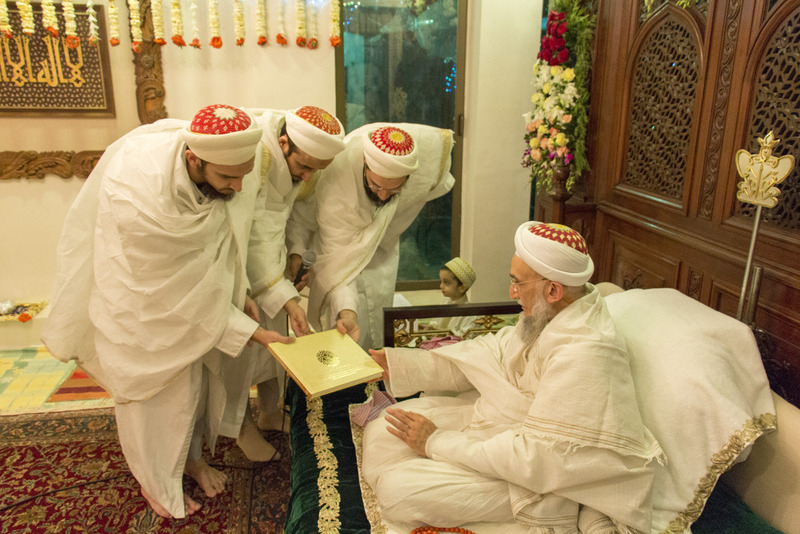 The publication, Golden Panorama: A Pictorial Commemoration of Syedna Burhanuddin’s Mazoon Syedna Khuzaima Qutbuddin – was presented to Syedna Qutbuddin on this Mubarak night. 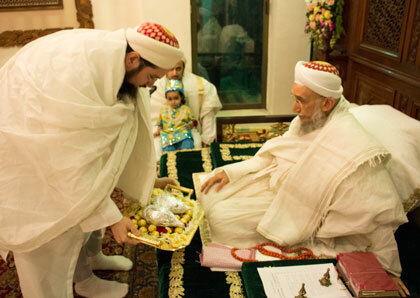 Syedna with karam bestowed doa Mubarak for all those participated in the project. "حق ني آ علامة چهے، خالق ني آ حكمة چهے * 53 ما آ داعي نا رتبة ني بشارة چهے"